This is a sponsored post on behalf of Element Associates and Midlife Boulevard. All opinions expressed are as always completely mine. November is National Caregiver Month and I wanted to share the Random Acts of Kindness contest sponsored by AARP. The “sandwich generation” is a growing epidemic in this country. I think it should be called the vice grip generation. That’s a more realistic idea of what it feels like sometimes. You try your best to divide your time between all the different relationships in your life, but no matter what, caregiving intrudes into every single aspect. You want to go out for dinner with your husband or maybe lunch with your daughter. First, you must find someone reliable that will either come sit at the house or take your loved one with them. You also have to prepare them for the change in routine to avoid any kind of a meltdown. You have to get both of you ready. You have to put together everything that she could possibly need in the three hours you will be gone all while constantly reassuring that you will be back very soon. Sometimes the guilt becomes overwhelming and you cancel out at the last minute. If you decide to go and you finally make it to the restaurant, as much as you try to enjoy your night out, you just can’t get the worry out of your mind. Is she okay or is she having a fit. You are trying to shake it off when your cell phone rings. “When are you coming home,” she says even though you’ve only been gone 45 minutes. “Soon,” you say as you automatically begin to eat faster because you know she is unhappy and probably scared. After only an hour and a half, you pull back in the driveway gearing up for the rest of your evening. Your shoulders hurt and your jaw is killing you from clenching it all evening. You slowly walk up the sidewalk looking at the stars shining brightly in the chilly night. Savoring every last second of freedom that never really feels like freedom at all. This is the life of a caregiver and this scene is being played out all across America. There are over 34 million unpaid family caregivers in the United States right this minute. This year AARP is challenging all of us to surprise a caregiver in our lives and perform a random act of kindness. It could be a small thing or even a great big thing, but most caregivers would be thrilled to just have someone take the time to really listen to them. It doesn’t have to be either complicated or expensive. AARP wants you to share what you have done and you can even enter to win a cash prize from their $10,000 pot. Submit a 150 word or less summary of how you made a caregiver feel special, take a photo, and you will be entered to win. You can share it on social media with the hashtag #BeKindToCaregivers. Here is a video that will tell you all about it. I hope you join in and if you don’t that doesn’t stop you from performing your own act of kindness. If you do I would love it if you came back and shared what you accomplish in the comments section belore. 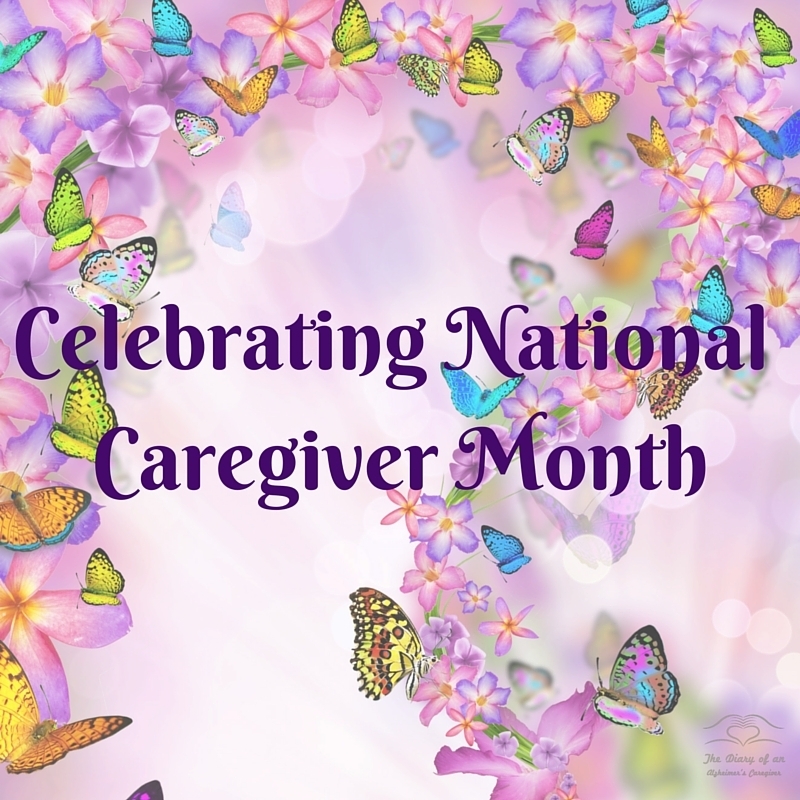 Have a great day and Happy Caregiver’s Month! Thanks so much! Hi Roweeee! I hope you’ve been well. It is wonderful to hear from you! Caregivers like yourself are admirable. It takes a special person to be able to become the adult to a parent with love and patience! It’s never easy Haralee they are always mom or dad. I never knew that you were a caregiver Abby! You learn something new everyday! I have a huge appreciation for all caregivers. Their life is not an easy one. Thank you for writing this important post, and being such a special person who cares for others. Thank you, Cathy! your lovely words really mean a lot. I’m leaping into the caregiver role for a few weeks – my mum has come to stay after a knee replacement. It is giving me an even greater appreciation of those who do this for months or years at a time! Oh no, Leanne I hate to hear that! I hope it doesn’t last very long! How can I find someone to help, Rena? You are an incredible and thoughtful caregiver, Rena. I would like to see YOU win the prize! A good reminder. Thank you Rena.